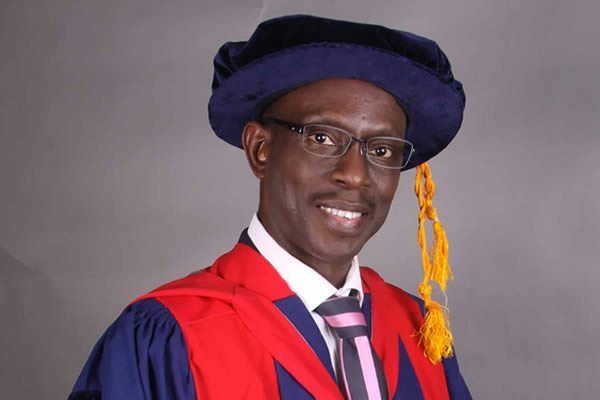 The Vice Chancellor, Lagos State University, Olanrewaju Fagbohun has cleared the dust raised by Premium Times Publication April 14, 2019 accusing the university’s management of acquiring 12 luxurious vehicles with N198 million from the contributory pension of the institution’s employees. He described the allegations as false and baseless. In response to the baseless allegations, the VC stated that the University did not at any time borrowed a dime from the staff contributory funds, the Pension Fund for members of staff who are yet to register with Pension Fund Administrators which is less than One Hundred Million Naira is intact. However, the University borrowed the sum of Four Hundred and Seventy Four Million (N474, 000, 000. 00) from its provision to meet past service obligations. The management of LASU, reiterated through a statement signed by it’s spokesperson, Mr. Ademola Adekoya that the National Universities Commission (NUC) in the discharge of its statutory responsibilities informed all Nigerian Universities not too long ago, that accreditation exercise of programmes would be conducted once in year (October/November) and any University that fails to participate in the accreditation exercise will not be able to admit students into programmes due for accreditation but are yet to be accredited by the National Universities Commission. For Year 2018 accreditation exercise, the Lagos State University presented thirty seven (37) academic programmes. Preparatory to the visit of National Universities Commission (NUC), the University established a model of instituting task teams for all programmes to be accredited. The task teams are supervised by the Deputy Vice-Chancellor (Academic) while the Vice-Chancellor monitors activities of the task teams from the background using dedicated peer review teams of seasoned Professors. Each task team comprised of a member of Management, the Dean of Faculty and Heads of the concerned Departments, representatives of all staff and student Unions, Bursary and the Internal Audit. “Further to the approval of the University’s budget by Lagos State Government and premised on the need to urgently commence preparation for the accreditation exercise as set by the National Universities Commission (NUC), the University took the initiative of sourcing for required funds internally pending release of same by the State Government.